It's been a long time since I read any Octavio Paz and the last time was when I mused over The Double Flame, a series of essays on the nature of love and eroticism. However, by chance I met with a Paz poem this evening and in the hope that the Gods of Copyright are in a benign mood or maybe even that this particular poem is free for the edificaton of all, I hereby reproduce it. Here is a long and silent street. trampling the silent stones and the dry leaves. if I run, he runs. I turn: nobody. and rises and says when he sees me: nobody. 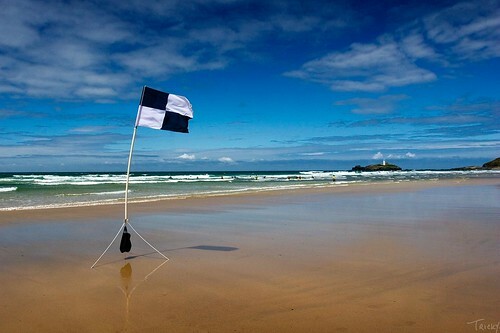 Surfers: should they be banned from Newquay? Why is it that here in England we make going to the beach so difficult? I ask because rumours reach me (from Carve's Facebook page, no less) of plans to ban surfers from parking their vans at South Fistral. Yes, the idea is apparently not merely to charge for parking, but to ban a constituency which arguably does more to subsidise Newquay's infrastructure than any other. If you think surfers should be banned, whether from South Fistral or anywhere else, contact your local council. A couple of days ago I popped into my doctor's for a routine examination of my latest injury, this a broken metatarsal in my right foot. Before I knew it a minor ailment had morphed into a reading of the Riot Act, that most unwelcome of acts, worse even than the Data Protection Act 1998, and that's saying something. "Give up surfing. Give up football. Give up all contact sports. Take up swimming. Take up knitting. I'm serious. Your neck is too fragile for any of this stuff." So said the doc, a straight-talker from the Old School, that most excellent of schools, better even than the Sunset Beach Elementary, and as for boxing, he wasn't keen. "Boxing? Are you mad?" were his words. No, said I, I'm actually rather sensible - I don't spar any more, well not unless Sam Smart promises only to hit me gently, on the side of my chest that doesn't still ache from a couple of broken ribs - and certainly never in the head. "Even so," said the doc, "I just can't see how whacking the bags and pads at force can be good for your neck. All that impact, being delivered along your arms, through your shoulders and into your neck? No, it's no good. You've got to give it up." My medico comrade said he felt "wretched" by the end of this chat, which is rather how I've felt ever since, too. I've been pondering his words for the past couple of days, trying to think of what to do if I really do stop surfing, boxing and all the rest of it. Swim? Knit? Somehow they're not the same, but a journey to Newquay on Tuesday didn't help. In the car with me were Aerial Attack and Kerry Powell. Our purpose was twofold: to make further efforts to resolve the present SGB situation, and, in the case of AA and myself, to check out an art gallery for a Cornwall Today piece. Both aims were accomplished, but on the way to Newquay, in Newquay and on the way home fron Newquay, the talk was of one thing and one thing only: surfing. AA and Kerry had just scored some decent waves at Sennen and were stoked. We bumped into various surfing types in Newquay and they were all stoked, too. On the way back to the far west there was yet more stoke. The bloke in the Shell garage was stoked, the bloke with the white van by the side of the road - he who spells 'potatoes' with an apostrophe, that most egregious of linguistic errors - was stoked, my hat was stoked, the sea was stoked, the gravel was stoked and even the administrative staff at the ASP were stoked, because they've finally introduced anti-doping tests in surfing. But all this surf stoke had a negative effect on me. As AA and Kerry regaled me with tales of waves ridden at Sennen, it struck me that it's not just the feeling of riding waves that one has to say farewell to, if one is sensible and decides to heed medical advice, it's a big old pulsing, vibrant and super-stoked community. "Ah yes," counters the doc, "but you could remain involved in surfing. You could take up surfing photography, for example, or throw yet more energy into helping to sort out the state of the UK surfing nation." Here, though, is the rub. I've always been a doer. Even as a writer - an occupation that tends to the observational rather than the active - I've always preferred to do the thing I'm writing about. Method writing, moi? Exactly. So the idea of sitting on the sidelines, somehow tangentially involved, is of limited appeal. No, it's clear to me that what I need is a second opinion. I got one from AA the other day: "I think you should carry on surfing." This was good, so far as it went, but it's back to the consultants for me. If a new one - for yes, there may yet be a medical person out there who has not seen me - says that I have to stop pretty much everything and just pad about in cotton wool then OK, fair enough, I will. Meanwhile, I'm off to London. Work is taking me there and I'm actually looking forward to it. You see, London is not a place of stoke, and the absence thereof is just what the doctor ordered. On Tuesday evenings, the thought that the lads from the mighty Dynamo Choughs will be playing outdoor football on one of the excellent pitches at Mount's Bay School slithers into my mind. Before I know it, I have changed into shorts, trainers and highly stylish QPR sweatshirt. Then I start warming up in my living room, like a footballer. Next I start flicking a ball about, again very much as footballers are wont to do. Soon enough, my metamorphosis is complete. I am a footballer. Convinced of this, I arrive at Mount's Bay for the Tuesday evening game. The first indication that I am not a footballer comes when the captains are appointed. Whereas for most of my life as an amateur player of renown amid the muddy parks of London and the south-west, I would always be one of the first to be picked by a captain - why sometimes, I'd even be the captain! - now I am the last to be picked. I stand around, knowing that I will be the last to be picked, trying not to show that I am embarrassed and inwardly convincing myself that I will score a hat-trick and prove the doubters (ie, everyone) wrong. But though I am the last to be picked, I still believe that I am a footballer. The game begins. I play up front, as I did for 25 years or more for various teams that no one has ever heard of, legends in their own lunchboxes all. The ball comes to me. The excitement! I go to control it. My wonky left leg scuppers this simple act. Frustrated, I hope for better luck next time. The same thing happens again, and again. If I have to run for the ball, I have no chance of getting to it; if I have to turn and beat my opponent, something that I used to be pretty good at, I am doomed to failure. As the game goes on my frustration grows. Still, though, I live in hope. I continue to believe that I am a footballer. The ball is played in to me from the right wing; I shape myself nicely and connect well with my right foot, that which is attached to the leg that works. The keeper makes a miraculous save. I am played in again a few minutes later. No less miraculously, I get to the ball and hit it well enough, again with the instep of the foot that is part of the leg that works. Again, my shot is saved. But nevertheless, I cannot but wonder. With two decent shots in quick succession, are things improving? Am I, after all, still a footballer? No, for then the ball comes to me and the stupid left leg fails to work. The ball hits it and rolls off for a throw in. Andy Tanner, a longboarder from these parts, is on the opposing team. He discerns that rage is simmering inside, a clue coming from the choice words I mutter and the pyschotic glare in my eyes. "Alex, keep going mate," he says. "Don't give up. At least you're out here." Later Mr Greg, the former Mr P Pilot, makes a similar observation. "I can see that somehow things don't quite work, but you still make good runs. At least you're still playing." But, comrades, I am not playing. Yes, if I'm doing keepie-uppie or passing the ball around I still look as if I know what I'm doing, but the cruel truth is that having a slightly spastic left leg does not a footballer make. Moreover, the constant fear of the ball hitting me hard in the head is a confidence-sapper. This also diminishes my once legendary game. It also means that I don't take a turn in goal, something I'm delighted about because I always hated having to go in goal, but which I can appreciate is frustrating for everyone else. So, to football, to the Choughs, and to those who, long-sufferingly, tell me that I should quit while I'm ahead and hang up my boots, I would like to apologise. It has come to my attention that I am no longer a footballer. Last summer a nice chap from ITV came down to Cornwall and, along with the estimable Caroline Quentin, filmed various characters here in God's own county. If the rumour is true, yours truly is on Cornwall (the perhaps predictably named show now airing on ITV at 8pm on Monday nights) in a couple of weeks. I fear that I was filmed surfing, bellyboarding, flying a plane and selling a house. Meanwhile, if you check out this link, you can see a lad in a blue wetsuit looking fairly stylish in small surf at Spot G, albeit only for a few seconds. That lad's named is Harry 'Wiggolly' Wade (copyright: Mr S Twisted). Every now and then, this blog runs guest posts. This one is from Web Cottages. Cornwall is one of the most popular surf locations in the UK, with amazing beaches lining both the North and South coast there is no end to the fun you can have. With some of the best surfing conditions in Europe it’s no surprise that surfers from around the world flock to the Cornish coast to try out their skills in the Atlantic waters. Travelling as a surfer can present some unique problems. Dealing with transporting your board from hotel to beach, storing your gear in temporary accommodation, and finding out about the best local beaches are just some of the issues the travelling surfer can face. Planning your trip through one of the many established surf travel companies is one way you can avoid some hassles, but another option might be to stay in one of the many self-catering holiday cottages you can find located along the beautiful Cornish coast. What do you do when you turn up to a hotel or hostel with your board and a bag of gear? Do you leave it in some kind of secure storage or do you bring it to your room and spend the rest of your holiday tripping over it? If you were staying in a holiday cottage then none of this would be a problem. One of the major benefits of staying in your own Cornwall cottage is the space that it can provide, and many even have a garage or storage area for you to use, making your holiday infinitely easier and more enjoyable. If the principal reason for your trip is surfing then you want to spend as much time as possible at the beach. There are holiday cottages across Cornwall that are located right on the beach, making your commute only a matter of minutes - you’ll only need to pull on your suit, grab your board and head out the front door. Obviously it’s great for the end of the day as well, with your house only being a hop, skip, and a jump away there will be no lugging of boards and gear all over the place: you’ll be in the shower minutes after stepping out of the water. Heading to a new destination without any local knowledge can be quite daunting, and if you want to make the most of your surf trip then you don’t want to waste your time at sub-par beaches. Even if you are an experienced surfer it’s a great idea to contact an established surf company in the area that you’re visiting to guarantee you make the most of your trip. As Cornwall is one of the top surfing destinations in the UK, there are no shortages of schools and it’s a pretty safe bet that there will be one near to where you’re staying. You might even be lucky and get some secrets about the beaches right near your Cornwall cottage. The hassle involved in organizing your own surf trip can really put people off. When planning your next trip why not consider staying in one of the many holiday cottages in Cornwall and see how much easier it can make your surfing holiday. 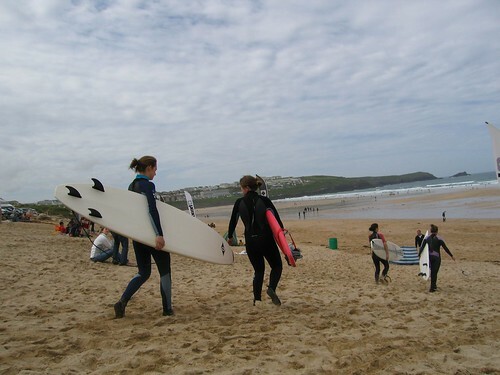 Whether you are travelling on your own or with a group of friends there are cottages out there that will suit your perfectly and make your surfing trip to Cornwall one that you will never forget. 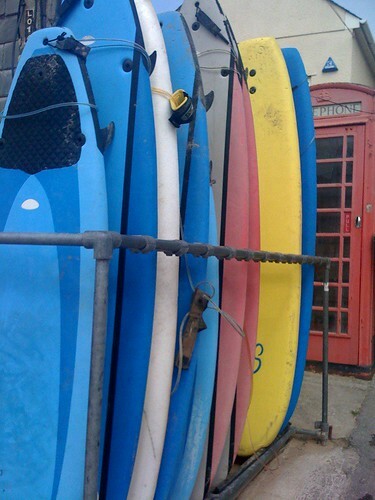 When you’re planning your next surf trip to Cornwall why not check out Web Cottages who have many holiday cottages in Cornwall to choose from. No matter your requirements we will have a self-catering cottage in Cornwall to suit you. Last night I had a dream that I feel compelled to share. In this dream, I dreamt that I had a dream that I felt compelled to share. Yes, I know - divulging one's dreams is rarely a good idea. Viennese witch doctors are liable to pounce on them, friends sigh with boredom as we embark upon the sentence beginning 'I had a really weird dream last night', and as for relatives, they despair, having heard it all before. But this dream - the one in which I dreamt that I had a dream that simply had to be revealed - was something else. I dreamt that I was dreaming of being asleep on a beach, dreaming. If this sounds like a ridiculous post-modern conceit, consider that the excellent Italian writer Antonio Tabucchi wrote a book called Dreams of Dreams, in which he imagined the foremost dreams of 20 great artists, musicians and writers. Why did he do this, and did he do it successfully? My own dream did not yield the answers to these questions, for, at this juncture in the dream, I was sleeping a dreamless sleep (the best kind of sleep, for my money). All was therefore well, for in the deepest dreamless somnolence lies peace, until reality, in the form of a dream, intruded. Suddenly, dreaming of a dream that had to be shared, Aerial Attack was looming over me. "Spot M was epic yesterday!" I thought it might be. "And so was that special place I've been telling you about. About 6-8ft, clean and hardly anyone out. It was epic, I tell you, epic! There were stand-up barrels galore!" I thought it might be. I sat in the car park at Marazion, discussing the state of British surfing and wondering whether to go out. In the end, I decided to preserve my ability to walk, for ever since the flight back from Hawaii my neck has been killing me. "Sorry to hear that, mate," said Aerial Attack. "But it should be good today as well. The Boneyard might even work." And then I awoke. Spot M will work, the Special Place will work, the Boneyard will work, even the mighty break of D-Bay may come alive, for the chart looks mighty fine. But that damned neck is playing up, and although it has taken me 45 years, I now understand that discretion is the better part of valour. Pictured: Pereira Maintains by Antonio Tabucchi. Like the beautiful Requiem, it is a much better book than the rather pretentious and unwieldy Dreams of Dreams, perhaps proving, beyond doubt, that one really should keep one's dreams to oneself. Happy New Year to everyone who reads this blog and everyone who doesn't and those in between and especially the people who read it so diligently that they can't resist posting SPAM comments, my word I love the spammers, some days when I think no one has read the blog, this humble outpouring into the void, this tumble of words devoid of form, this outage of blurb, this pouring of the spoiled, sometimes, yes, occasionally, when I feel alone and rejected and unloved, I find that a spammer has vouchsafed me with a comment, perhaps in Japanese, sometimes in Arabic, but never in French, and at such junctures I feel alive, wanted, read, recognised as the world's leading authority in home loan timberland boots or some other bizarre website to which the spammers insist on linking but why? what is the point? why does anyone want to click on a site about HOME LOAN TIMBERLAND BOOTS and what are they anyway? Yes, spam is great. Long live the spammers. May they prosper even more in 2012, with, or without, their home loan timberland boots.